What is Bank Guarantee executing procedures with customs and import incensing authorities? When to cancel bank guarantee with customs? 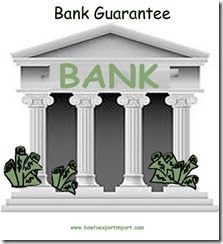 Does bank reserve fund against bank guarantee? In certain cases of imports, you need to execute a bank guarantee along with the bond for the purpose of availing exemption of import duty amount. Later stage, if customs (government) finds default on fulfilling your obligation as per the details of executed bond, customs collects the duties or taxes under the said import shipment by forfeiting such bank guarantee. Many cases, the bank guarantee with bond are executed with customs department assuring obligation on different duty exemptions by importers. For example, you (importer) want to import machinery from a foreign country and required to avail import duty exemption. You intend to import under EPCGC scheme (Export Promotion Capital Goods) where in you can avail import duty exemption on capital goods subjected to terms and conditions under the scheme. Under EPCG scheme, importer has to fulfill certain norms and required to complete export obligation on quantity, value or both as per the instruction of Licensing authority. Normally, EPCG (export promotion capital goods) scheme is allotted for 5 years duration period. Within the said period of 5 years, the export obligation has to be fulfilled. If bond with bank guarantee is insisted by the licensing authority of EPCGC (Export Promotion Capital Goods), bond and bank guarantee is executed by importer while importing goods under EPCGC scheme. 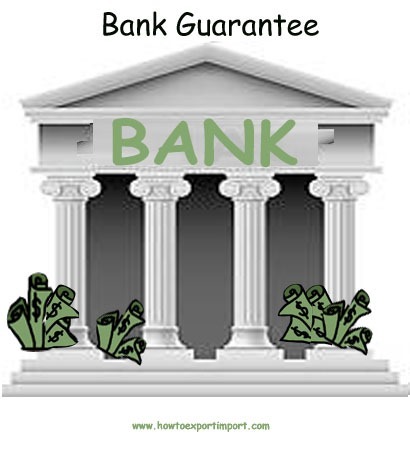 Bank guarantee is the guarantee by bank assuring to pay the amount mentioned in the document, if any default by his (Bank’s) customer (you-importer). Normally bank reserves a bank guarantee margin amount from your account while issuing bank guarantee. The reserve margin amount can be 100% of amount mentioned on Bank guarantee or 5% or nil depends up on your relationship with bank on your credit worthiness. Do you have different thoughts on execution of Bank Guarantee and bond? Share your experience in handling Bank guarantee with customs or licensing authorities under import. Comment below your thoughts on execution of BG and Bond under import and export. Bob Tayler: On 12 August 2016 Please note we are aware of a pending shipment for you from Redsail. The shipment cannot be boarded at origin until the US Customs ISF requirement is fulfilled. Please advise if you will be using Delmar USA Customs brokerage services or if you have selected a different customs broker to represent you on this side. amit kumar: On 31 August 2017 Hi. Sir, I want know procedure how can get the original BG with bond from the custom house which was applying form import and export . now we had export the shipment so . kindly advice how can get the same. and are the procedures. Jun: On 30 November 2018 Dear Sir, Currently our company is registered and stationed in Malaysia with granted of Bank Guarantee facility for customs purpose but the business activity is going transfer to Taiwan company which registered in Taiwan address (i.e relationship with this Taiwan company is related party). However, all the documentation still maintaining/conducting in Malaysia, warehouse also will be stationed in Malaysia, sales invoice header will be changed to Taiwan's company name and address. Based on the scenario above, does the Taiwan bank guarantee facility could be used for Malaysia's customs? Could you please advise further on the procedures for this case. Thanks in advance for your advise.